Fifty years ago, a live-action sci-fi TV series predicted what the year 1997 would look like — giving an entire nation a new series of zany-sounding insults to use for their eventual robot companions ("you cackling cacophony," et al). 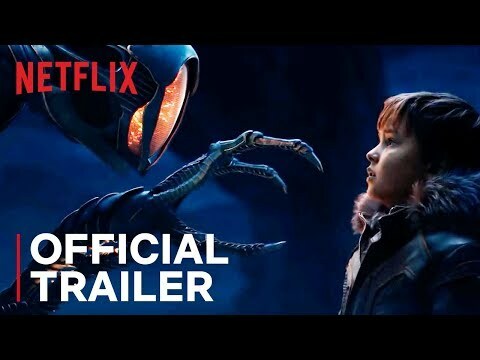 Lost In Space stood out as a more serious, family-centered drama ........Today, on its golden anniversary year, the series has been given another lease on life by way of a reported Netflix deal. The Deadline report also talks at length about prior attempts to get Lost In Space back into orbit. In addition to the 1998 film, series rightsholder Synthesis Entertainment tried to get the series on to NBC, ....... Following that, a John Woo-helmed TV pilot was shopped to the WB Network in 2003 (and that episode happened to feature two of the eventual stars of the critically acclaimed TV series Friday Night Lights). Deadline's report didn't attach any dates to the project — and hopefully, that doesn't mean this project too will wind up loooost... iiiiiin... spaaaaace. 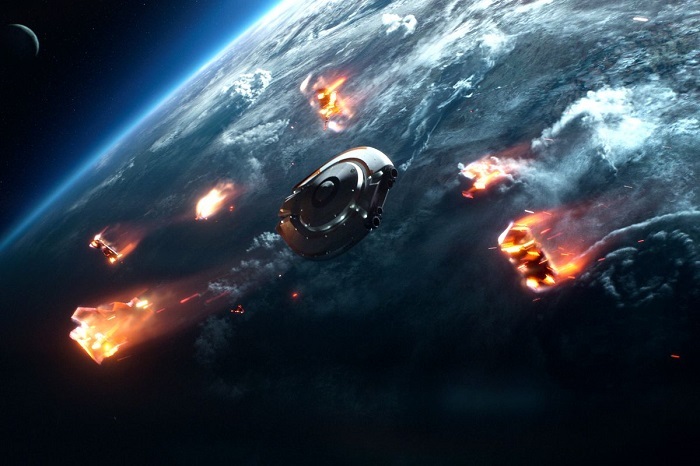 Here's another article from back in November about the Lost in Space remake. I wonder if the project has been scraped. It's in "development hell". There are 6 different copyright holders for the TV series: Irwin Allen Productions, Van Bernard Productions, Jodi Productions, Space Productions, 20th Century-Fox Productions and CBS Productions. Now add Ib Melchior who wrote the original story (He partially won a lawsuit and is credited in the movie version). AND Innovation Comics for the Bill Mumy 'guided' Lost In Space comic. AND Dark Horse Comics for any movie adaptation. AND The WB Television Network, Synthesis Entertainment, Irwin Allen Productions, Twentieth Century Fox Television and Regency Television for the 2003 pilot reboot directed by John Woo. Now there is this new pilot by Legendary TV and Synthesis Entertainment. ALL of these "people" get their cut. That is simply the nature of 'show business'. 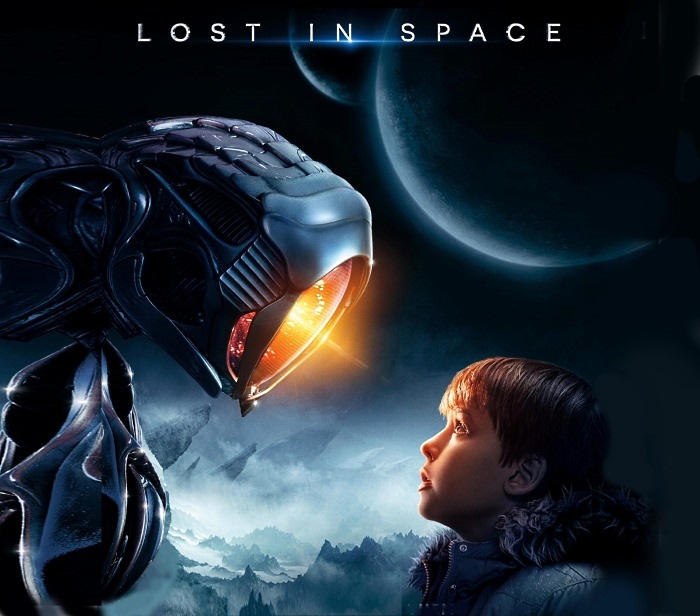 Did you know that onn its opening weekend Lost In Space grossed $20,154,919.00 and debuted at number one at the box office, ending Titanic's 15-week-long hold on the first-place position? Yea, I was in the audience that weekend. That's six good bucks I'll never see again. Your list has a lot more than six on it. I don't know why anybody bothers trying to revive these old series like this. If you just come up with a really good original property you don't need that. Even George Lucas did it a couple of times. "Lost in Space: Molly Parker Lands Female Lead in Netflix Reboot"
We're getting close to the premiere of this series. I hope it's good! Here's two trailers. I just watched the first episode of Lost in Space and it is SPECTACULAR! If you don't have Netflix, this series alone makes is work the money . . . especially when you can get a month absolutely free, and the first 10 episodes of the series were released today! I'm watching it now...a couple of episodes in so far. I have to say that I like it! It's difficult to turn a rather "tounge in cheek" series like the original into a serious sci-fi concept. The movie version attempted this but failed on a number of levels.. So far this new series has avoided those pitfalls , and hopefully, will continue to do so. Bud and I are watching ep 2. Bulldogtrekker and I just finished binge watched the ten glorious episodes of Lost in Space during the last four days, and I swear by the all the gods of the cosmos, this is the absolute BEST sci-fi series ever, bare none! The FX are flawless, of course. (No surprise there.) The cast is superb, a huge plus for a series like this. And the writing . . . well . . . The stories are completely unpredictable, the concepts are intelligent and fascinating, and the dramatic situations keep the viewers on the edge of their seats. Frankly, the season 1 finale's climax defies description. It was one jaw-dropping moment after another. My reaction to that is, "How much does it cost to be placed into cryogenic suspension for two years?" I'm not sure I can stay sane while being forced to wait that long. Maybe I'll just re-watch season 1 on a monthly basis. I mean . . . damn . . . I've just watched the first two episodes, and it does seem pretty impressive. A bit of a change for Toby Stephens from playing the pirate Captain Flint in Black Sails! Nice to have Billy Mumy playing Dr Zachary Smith,,, I wonder what the show would have been like if he'd, er, lasted a bit longer? And good to get the proper music at the end - but then, it would have been a bit stupid not to use music by John Williams, right? Most of the reviews I've read so far have complained about the rather "slow moving" of the programs. On the contrary, I've found the pacing to be refreashing and the unfolding of background information through flashbacks to be enlightening. Much more time is spent getting to know the individuals characters in depth. Especially interesting is Parker Posey as "Dr. Smith". She's not just the villian of the piece, but she's a full blown psychopath. CGI is perfectly done and the props, sets etc are beautiful. I'd give it 8 1/2 stars out of 10. Most of the reviews I've read so far have complained about the rather "slow moving" of the programs. SLOW MOVING! Are those people NUTS? This series exceeds the cinematic speed limit of practically every show ever made! My only complaint with it is that each episode includes absolutely no scenes that can be missed while a viewer takes rest room breaks. Thank God modern science invented the pause button! "Slow moving" was THEIR comment....Not mine! I found the pacing, editing....and just great story telling absolutely refreshing! Every practical and computer effect was executed superbly. For once I felt the pacing was so "real" and critical to the enfolding of the story and development of the characters. This is without a doubt one of the absolute BEST of recent Science Fiction media. Better by miles of most recent films which pander to the masses. Parker Posey comes across in her role as "Dr. Smith" as a psychopathic, deeply layered protagonist that she transcended the one dimensional image of the TV series. I can't recommend this series in any higher words! I did not care for the 1st 2. The next 2 episodes are much improved! not perfect, not even close, but getting better. So far Dr. Smith is down right creepy. The FX are at least as good as anything else. I'm not in love with this show, but I keep watching.